Diesel engines are starting to make a return in the United States but they have been massively popular for decades in Europe. It’s not just economy cars, either: AMG has built a diesel engine, oil-burning Audis have won the grueling 24 Hours of Le Mans on several occasions and BMW offers a 5-Series with a triple-turbocharged 3.0-liter straight-six diesel worthy of a “M” badge on the trunk lid. 40 years ago, Peugeot and Mercedes-Benz were among the very few manufacturers that offered a diesel in a passenger car and the thought of a compression ignition engine mounted in the engine bay of a sports car was a daring one that only Mercedes was willing to dabble in with the C111-III, a 230-horsepower experimental sports car that was never given the green light for production. The oil crisis that rocked the 1970s convinced BMW’s top brass to take a close look at the diesel engine as a good compromise between power and fuel economy. A team of engineers tasked with studying oil-burning engines was formed at the firm’s Munich, Germany, headquarters in 1975. 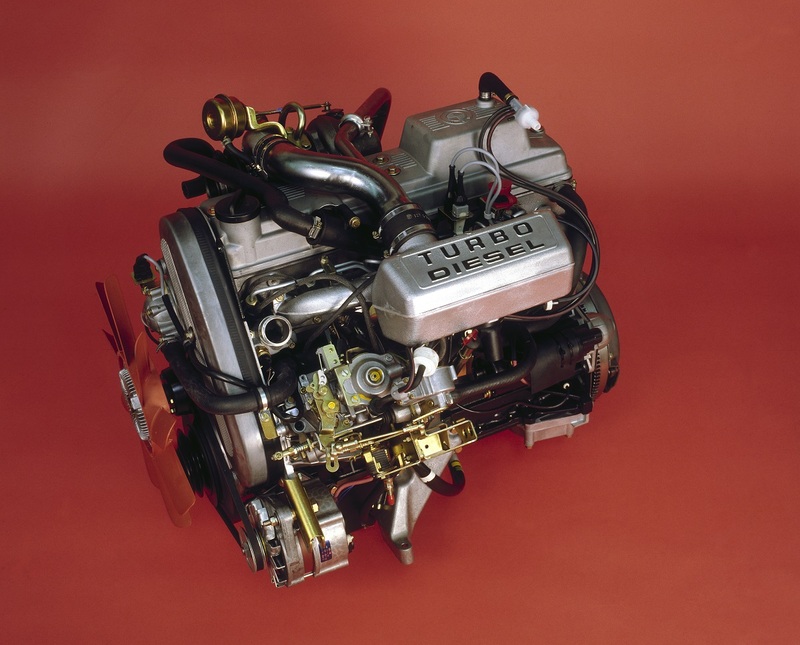 Engineers chose to use the M20 straight-six gasoline-burning engine as the starting point for the new diesel. The engine’s basic structure and belt-driven overhead cam setup were retained, but it featured purpose-designed valves, pistons and crankshaft and, importantly, an exhaust gas-driven turbocharger. BMW also worked with outside suppliers to design a system called Instant Start that shortened the glow time. With a displacement of 2,443 cubic centimeters, the new M21 engine was manufactured in Steyr, Austria, on a production line operated jointly by BMW and Magna-Steyr. The first regular-production diesel-powered BMW, the 524td, made its public debut at the 1983 Frankfurt Motor Show. With 115 horsepower and 154 lb-ft. of torque under the hood, it sprinted from zero to 62 mph (100 km/h) in 12.9 seconds and reached a top speed of 111 mph (180 km/h). At the time, BMW proudly called the car the fastest diesel-burning sedan in the world, though Mercedes’ turbocharged w123 300D was not far behind. Fuel economy was rated at an impressive 7.1 liters per 100 kilometers (33 mpg U.S., 39 mpg U.K.) in a mixed European cycle. Diesel engines rose to prominence in Europe during the early 1980s and manufacturers who didn’t offer at least one oil-burning model often lost sales to competitors. 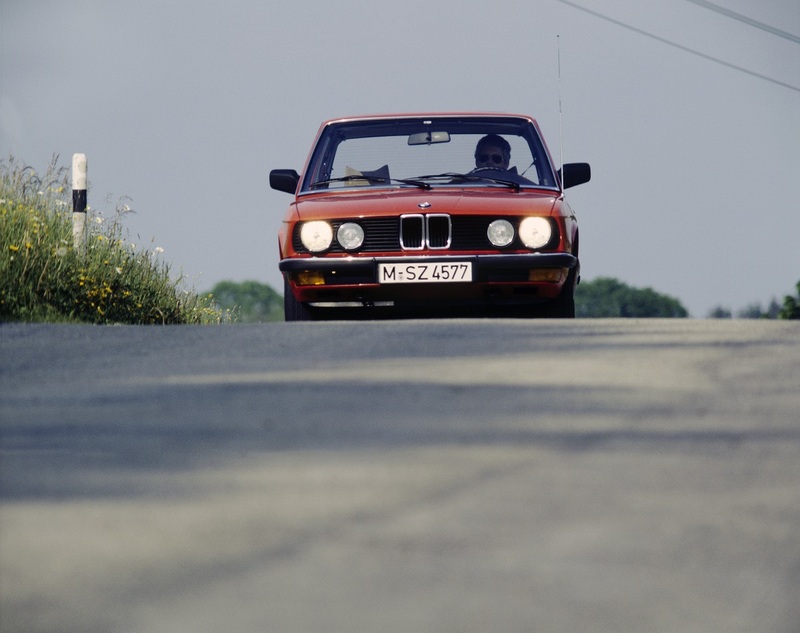 In hindsight, the 524td came at exactly the right moment for BMW and it quickly became one of the most popular variants of the E28 5-Series in Germany. 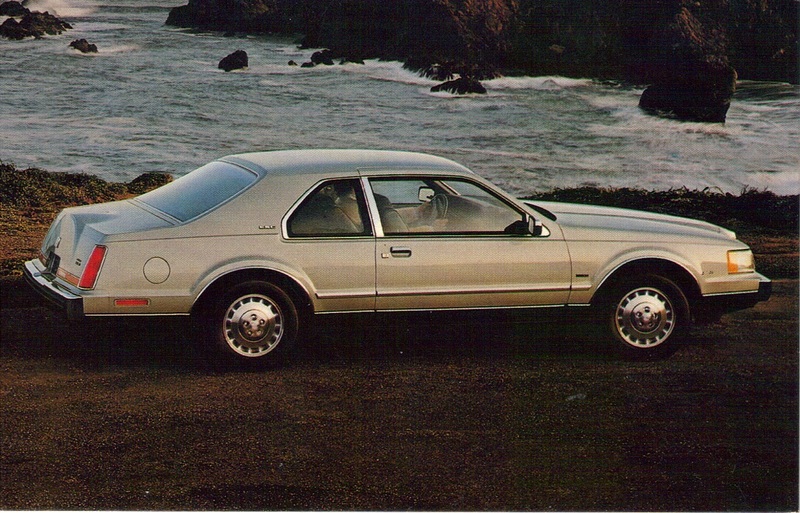 Eager to keep up with rival Cadillac, who offered the Eldorado coupe and the Seville sedan with an Oldsmobile-sourced V8 diesel, Ford’s Lincoln division equipped its Continental sedan and Mark VII coupe with BMW’s 2.4-liter diesel in 1984 but public demand was almost non-existent and the model was axed a year later after a handful of examples were built. The 524td’s popularity in Germany and abroad convinced BMW to widen its diesel offering. Launched in 1985, the 324d (E30) was powered by a naturally-aspirated variant of the 2.4-liter that churned out 82 horsepower and 113 lb-ft. of torque. It hit 60 mph from a stop in 16.1 seconds and returned 6.9 liters per 100 kilometers (34 mpg U.S., 40 mpg U.K.) in a mixed European cycle. Like in the 524td, power was sent to the rear wheels via a standard five-speed manual transmission or an optional four-speed automatic. The 324d was a hit in Europe but buyers clamored for more power so BMW quickly offered the turbodiesel 2.4 in the E30, creating the 324td. Conversely, the naturally-aspirated mill was installed the e28 and the 524d was popular in heavily-taxed markets like Italy, Spain and France. The original BMW diesel was replaced by a brand new unit presented at the 1991 Frankfurt Motor Show. Called M51, the straight-six was quieter, smoother and cleaner-burning than its predecessor and it generated more power. It had a displacement of 2,498 cubic centimeters so the cars equipped with it were dubbed 325td and 525td, respectively. Sportier tds-badged variants of each were added to the catalog, and the M51 was dropped in the E38 to create the first diesel-powered 7-Series. All photos courtesy of BMW’s archives department.